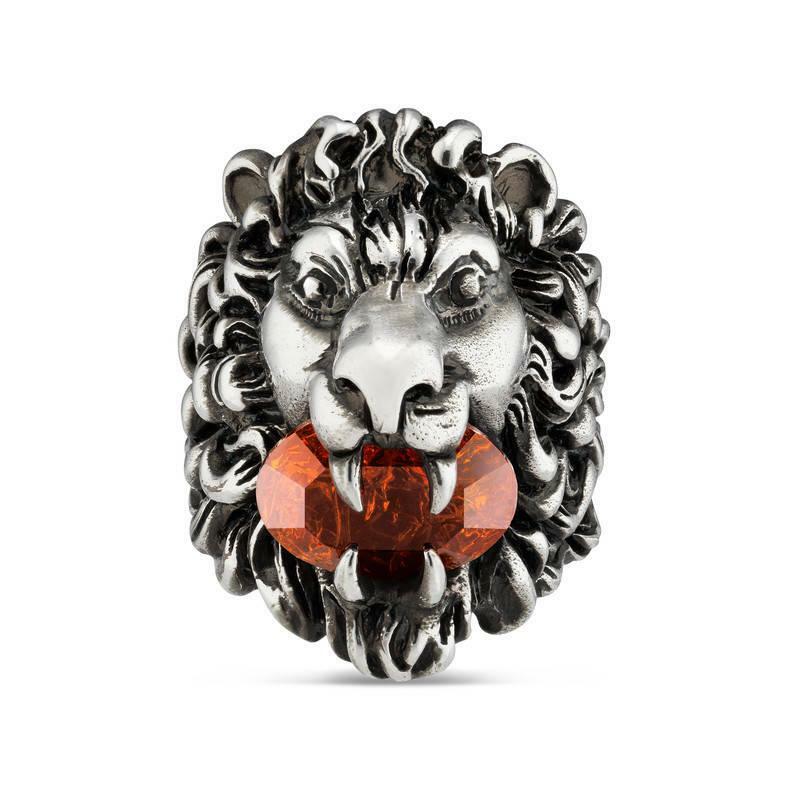 We check over 450 stores daily and we last saw this product for $516 at Gucci. 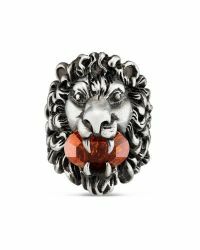 Made in metal with aged finish, the lion head ring holds a red faceted swarovski crystal in its mouth. Metal with aged finish red swarovski crystal 1.2 length please note that the crystal stone has been specially treated to create a cracked effect made in italy gucci guarantees, internally and within its supply chain, respect for standards of social & environmental responsibility in line with its sustainability strategy.